Unicorn Makeup Bag at £13.50 – This is a quirky yet fun makeup bag in soft mint green has a pastel pink zip a with a rainbow design zip pull. 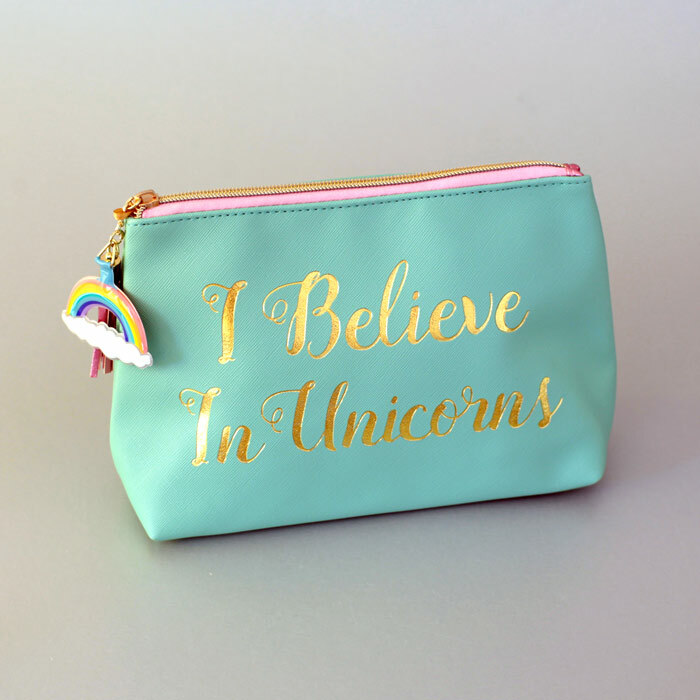 The piece de resistance of this fantastical Unicorn Make up Bag is the gold metallic quote “I believe in Unicorns”. 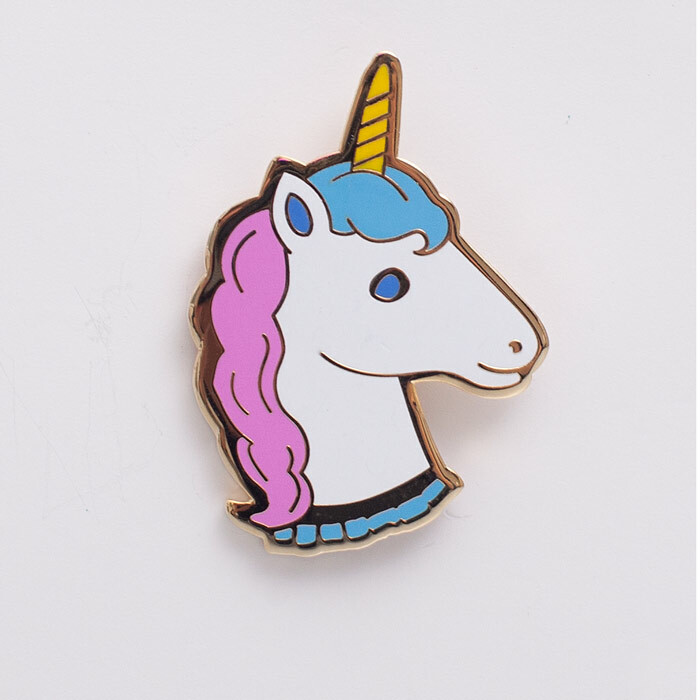 Unicorn Enamel Pin at £6.50 – This is a super cute Enamel Pink by Acorn & Will featuring a colourful unicorn. Looks great on bags, hats or any casual clothing and will bring a little bit of magic to your everyday life. 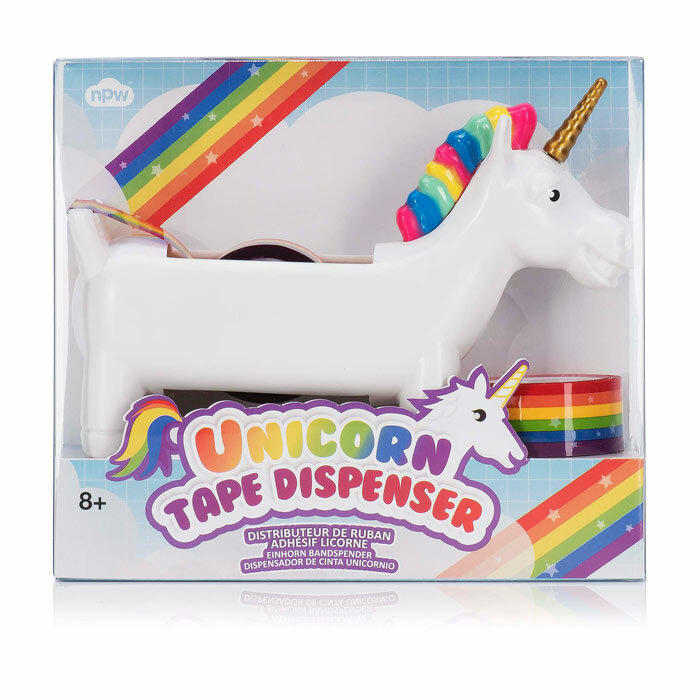 Unicorn Tape Dispenser by NPW at £10.50 – Make your office desk more magical with this cute Unicorn Tape Dispenser by NPW! Ideal small present for the young or young at heart. 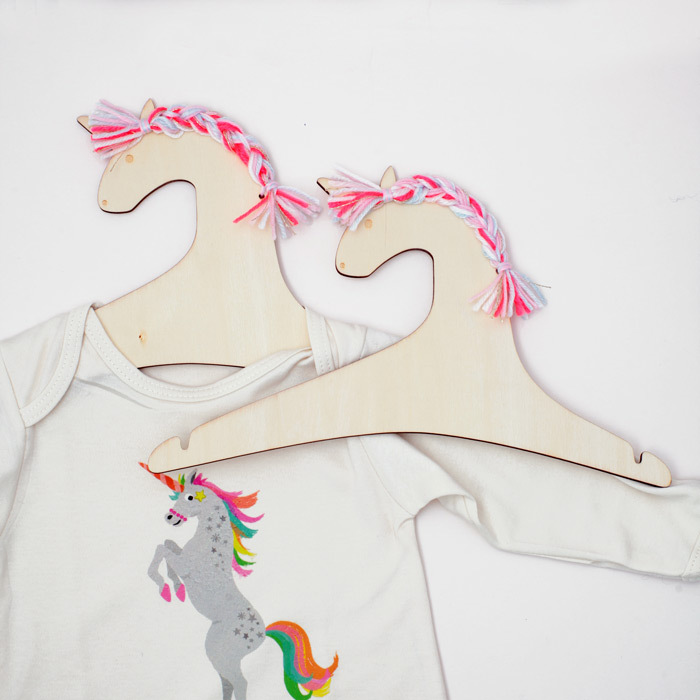 Kids Wooden Hangers Unicorn Design at £14.50 – We simply love our new Kids Wooden Hangers in the Unicorn Design from Meri Meri. It is the perfect way to add a magical feel to any little girl’s room. Or for us big kids these hangers make a quirky alternative way to display necklaces or soft accessories. 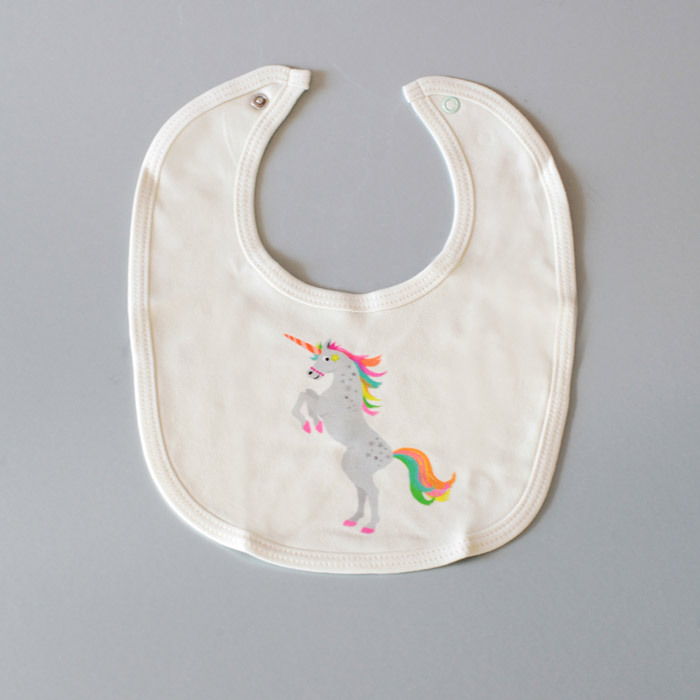 Petra Boase Bib Unicorn at £6.50 – This is a magical small present for any tiny new bundle of joy! Made in a soft 100% organic unbleached cotton 100% organic unbleached cotton, making them not only good for babies but for the environment too! Unicorn Snow Globe at £15.00 – Love Unicorns? Well now you can own your own! 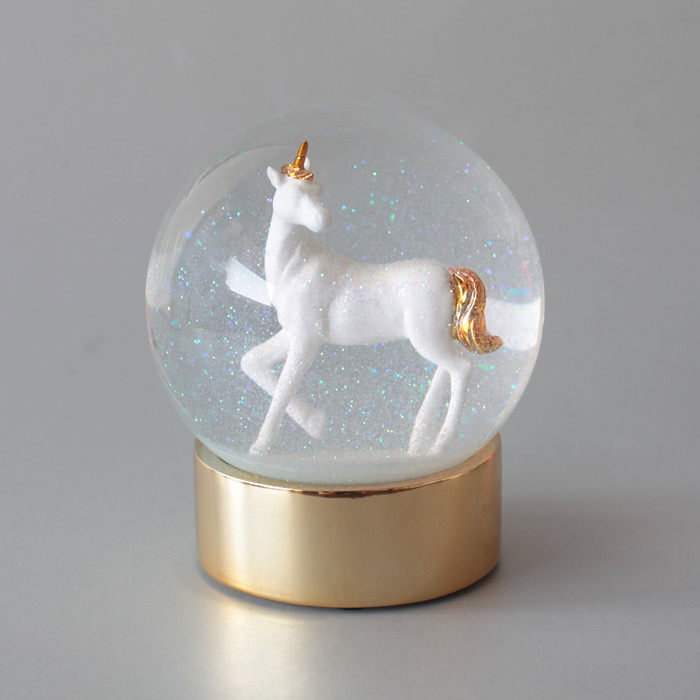 The Unicorn Snow Globe will bring ethereal feel to any room it adorns. If placed on a work desk, it can help whisk you away to a magical place when works gets too tough! 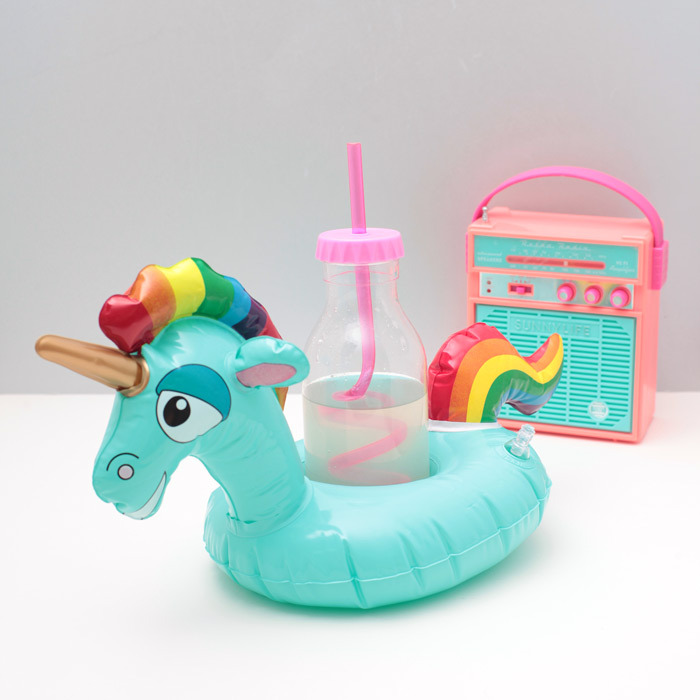 Inflatable Unicorn Drink Holder at £6.50 – The Inflatable Unicorn Drink Holder is a magically funky way to keep your drink handy whether floating in a pool or taking a soak in the tub! Makes a great quirky present for friends both young and old.